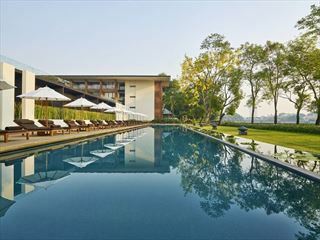 There are few better bases from where to truly immerse yourself within the historic heritage centre of Chiang Mai other than the Rachamankha and if you're looking for peace, tranquillity and traditional Thai luxury then welcome to perfection. 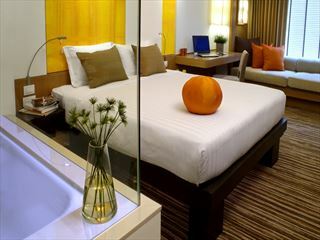 With a small selection of guest rooms and suites there's no chance of too much noise and thanks to a central old town location, you'll find all of Thailand's second city sights right on your doorstep. 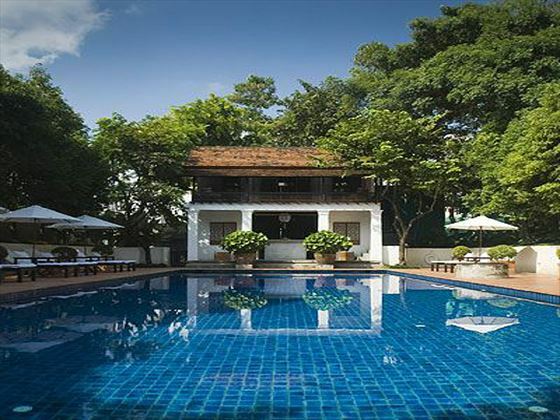 Days spent by the pool, in the garden or enjoying a massage in an outdoor pavilion are all waiting at the Rachamankha which is why this perfect pocket of peace is such a well guarded secret amongst those in the know. 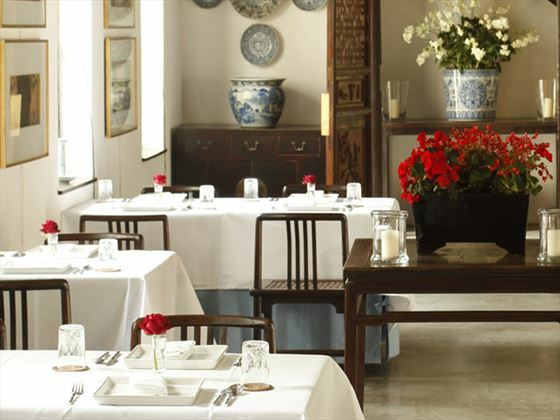 Situated within the old city walls of Chiang Mai in the north of Thailand with many of the region's most impressive temples, monuments and night markets all within walking distance. 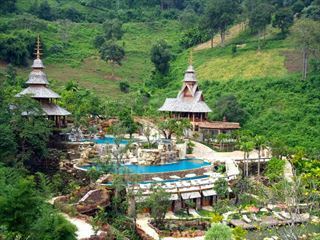 Chiang Mai International Airport can be reached in around 15 minutes. 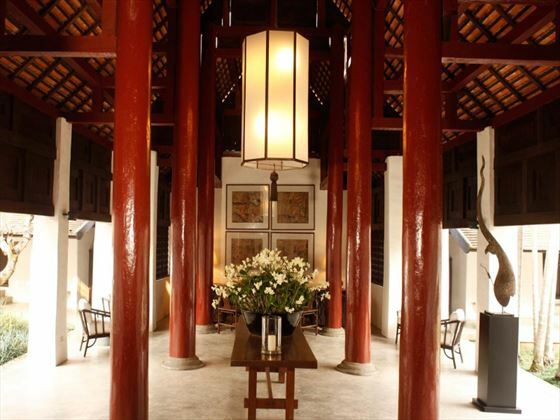 Courtyard Superior Rooms – characterful and comfortable double bedroom and bathroom with traditional wooden floors and typical Thai décor. 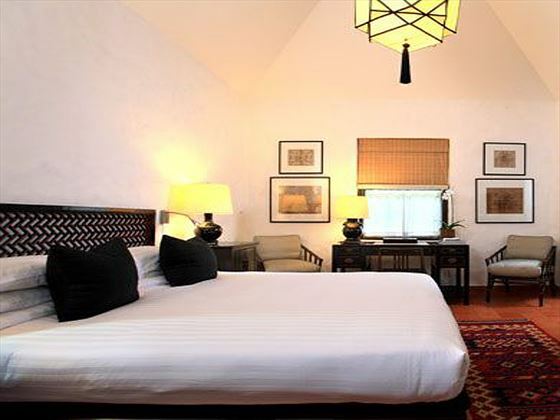 Grand Deluxe Rooms – larger than Courtyard Superior Rooms with four poster double bed, bathroom with amenities and comfortable seating area. 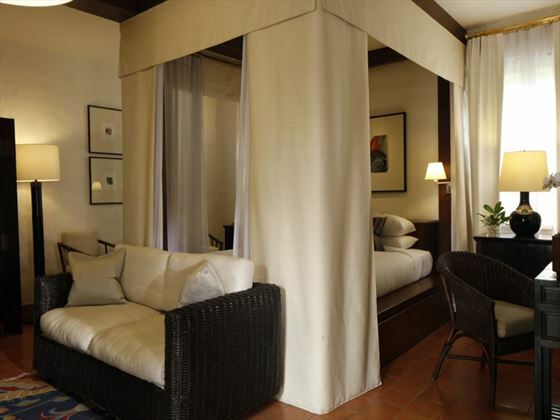 Classic Suites – the largest guest accommodation in resort featuring two bedrooms, living area and spacious bathroom as well as upgraded amenities and luxury Thai touches. 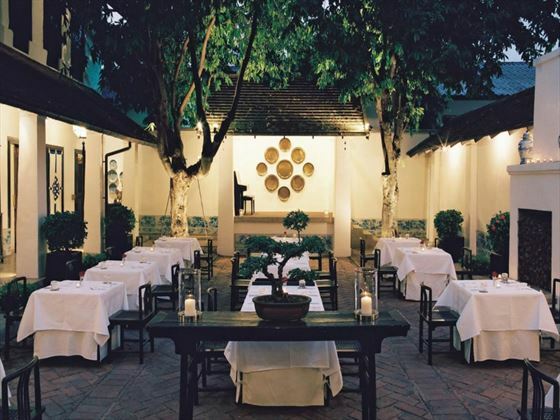 Rachamankha Restaurant – all day dining within an indoor and outdoor courtyard setting; dishes represent the best in Southeast Asian cuisine and are accompanied by a good selection of wines. Lounge Bar – drinks, cocktails and refreshments within a casual, yet refined, atmosphere. Pool Bar – snacks, drinks and light refreshments served poolside.